Modules are used to organize course content by weeks, units, or whatever organizational structure works for your course. With modules, you are essentially creating a one-directional linear flow of what you would like your students to do. 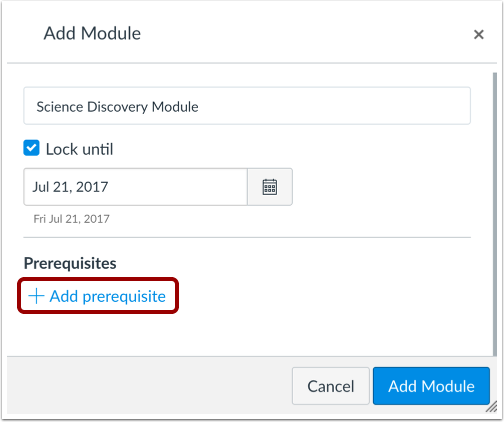 Once you create modules, you can add content items, set prerequisites, and add requirements. 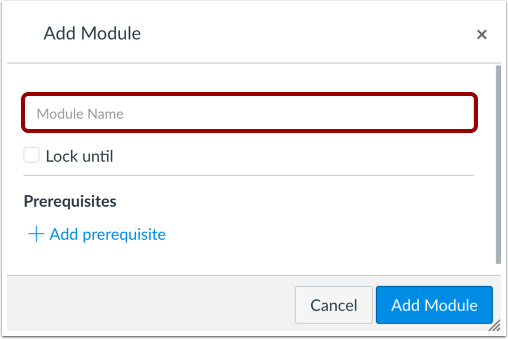 Type a name in the Module Name field. If you want to restrict the module until a specific date, you can lock the module. If you have added at least one module to your course, you can require a prerequisite module. 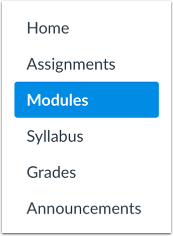 A prerequisite module means students must complete the added modules before they can view the new module. Previous Topic:How do I use Draft State in Modules? Next Topic:How do I duplicate a module? Table of Contents > Modules > How do I add a module?